Committed to providing career enhancing industry experience and skills to its students, INTI International University and Colleges’ collaboration with Google through its digital literacy programme, Google Ignite, has resulted in 538 INTI students being certified as Google Adwords experts. 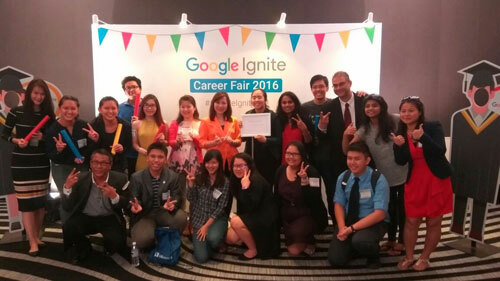 INTI also successfully bagged two of the four awards that were presented to participating universities at the recent Google Ignite Career Fair 2016. The Google Ignite Star Award recognizes the institution which has excelled through collaborative efforts and close relationships with the Google Ignite Team. INTI received the award for their continued tie up with Google Ignite in terms of coordinating on-campus road shows and engagement sessions across its six campuses in Nilai, Subang, KL, Penang and Sabah. Further tapping into the benefits of the programme and ensuring students are given ample opportunity to enhance their skills, INTI has also incorporated the Google Ignite training into its curriculum as course assignments or projects in some of its Business programmes. 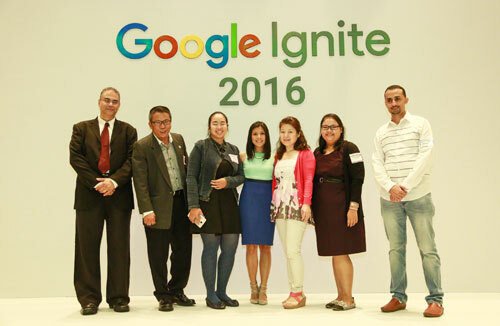 INTI also received the Google Ignite Excellence Award which recognizes the institution with the highest number of Google certified students from the programme. Of the 16 participating universities, INTI received the award after seeing 538 students successfully certified as Google Adwords experts. “We are very happy to continue the collaboration with INTI as we have seen how the Google Ignite programme greatly benefits the students. The INTI team has also shown a lot of support and dedication in bringing more students into the programme and the awards the INTI team has received are well deserved,” shared Denise Gamo, SMB Marketing Manager of Google Malaysia. The collaboration has paid off in its second year with INTI students being invited to an exclusive career fair participated by over 30 companies which included the likes of AirAsia & Tune Group, Digi, Maybank and Nestle Malaysia among others. The students had the opportunity to apply for internship placements with these top employers further to networking and putting themselves out there to be recognized and noticed among all these employers. “We are very proud of our students and their commitment to the programme which evidently gives them an edge in their resumes and job applications. We look forward to a continued successful partnership with Google in giving more students opportunities to gain added skills and knowledge outside the classroom,” shared Rohit Sharma, Chief Executive Officer of INTI International University & Colleges. Through its close ties with over 400 employer partners, INTI provides various platforms for students to gain industry relevant skills and experiences. Students also have the opportunity to work with industry partners on projects that may have actual and immediate impact on participating companies, which enable students to develop and enhance 21st century skills which are creativity, communication, critical thinking and collaboration.